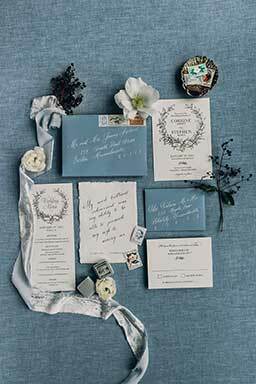 Dusty Blue Wedding Ideas Pale Blue Wedding Inspirations. Looking for inspiration for your fabulously elegant duty blue winter wedding? Look no further! Dusty blue is a very delicate and subtle shade of blue which is perfect for any wedding and is one of the hottest wedding trends now.It’s no secret that summer season is a popular of year to tie the knot, but what you likely haven’t realized is that a cozy winter wedding celebrations can be just as magical as gathering of friends in the warner months of the year. 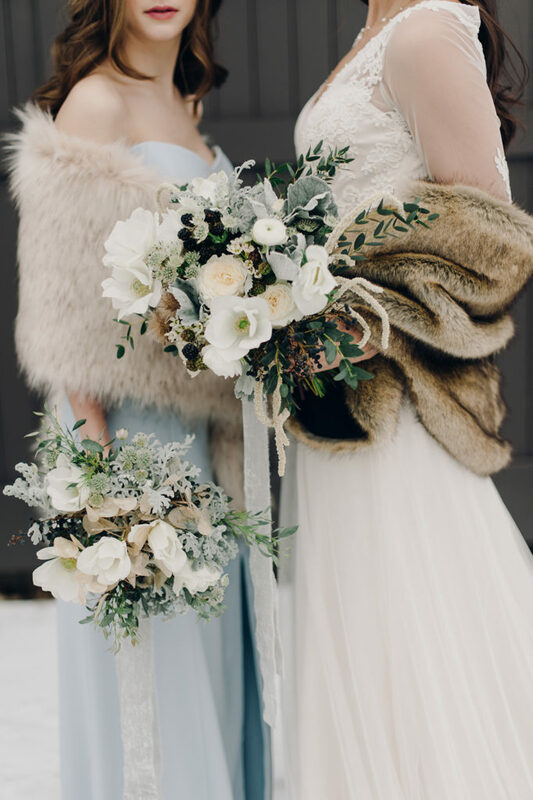 While a winter wedding date does force your party indoors, cool-weather celebrations offer the opportunity to plan a party with absolutely stylish and wintery seasonal details. 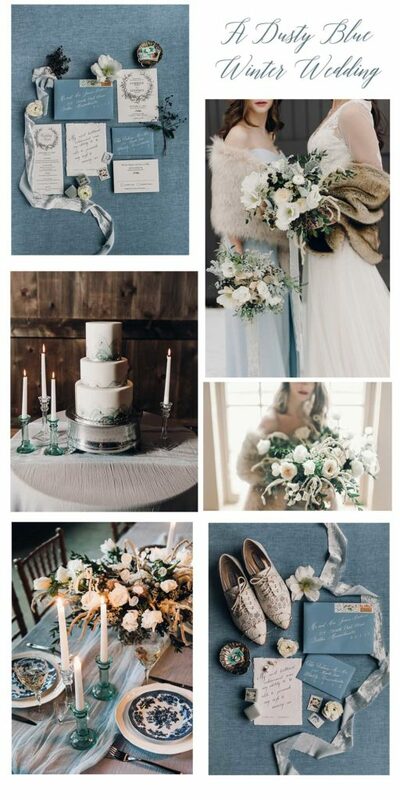 Today we also offer this Wedding board highlighting Winter Wedding Ideas for your Dusty Blue Winter Wedding. Enjoy these wedding invitations and florals also be sure to visit the store. Winter wedding sets are also offered here and fabulous florals can be found here. Likewise, take a look around at all the fabulousness while you’re here! Lovely bridesmaid dress in pale blue with florals which also coordinate for a lovely dusty blue winter wedding theme. You can find the Vintage Wedding invitation set here. Enjoy planning your dusty blue winter wedding and we hope we have provided some great inspirations for your celebration! 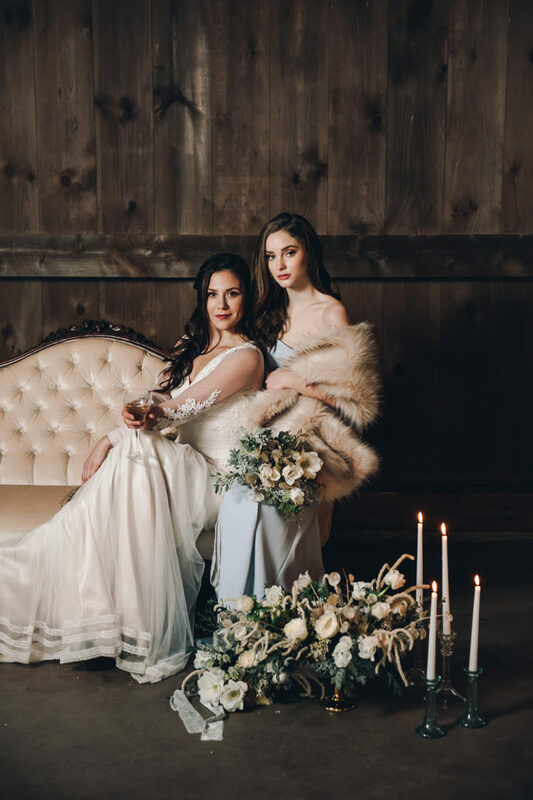 Thank you to all of the vendors who participated in this styled wedding shoot!